What Is Treated in at Librium Rehab? Librium, also known as chlordiazepoxide, is used to relieve the anxiety and agitation that may be caused by alcohol withdrawal. According to Medline Plus, this drug is often taken between one and four times a day. Inpatient Librium rehab centers work with patients who live at the facility. Doctors are available 24 hours a day, so patients always have someone to talk to and can receive medical assistance at any time. Inpatient clinics provide patients with the therapy and medication necessary for the prevention of relapse. Patients are monitored at all times. They participate in group talk, individual therapy, and more. Outpatient Librium rehab centers are usually best for patients with mild-to-moderate addictions or dependencies. Patients can maintain a normal home, school and work life. Patients only come to the clinic for medications and therapies. We can help you find the right clinic for your needs, today. If you would like more information about inpatient and outpatient clinics, contact our helpful 24-hour hotline at 1-888-341-7785. Moderate-to-severe addictions to Librium can be treated well in a residential facility. Doctors can provide the care you need to achieve freedom from the drug and withdrawal symptoms. According to the U.S. Department of Health and Human Services, HIPAA laws prohibit patient files from being viewed by a third party without the release and consent of the patient. This protects your rights as a patient when you enter a Librium rehab center. Many clinics offer double rooms, or they may offer rooms with more than two roommates. This helps patients develop a bond with peers going through a similar situation. Other facilities may offer single rooms for those who prefer privacy. Call us at 1-888-341-7785 for information about clinics in your area that can provide you with your preferred rooming situation. Librium treatment centers may also treat conditions that are not listed above. These centers may be specialized to treat Librium, or they can offer many types of treatment for people with all types of addictions. Call our hotline at 1-888-341-7785 for information about your preferred Librium rehab center. Patients with mild dependencies or addictions may prefer a shorter program. Longer programs are best for those with severe or moderate addictions, and they can provide more help for those who have severe emotional addictions as well. The Librium rehab center will have information on how to extend your stay after rehabilitation if you need more help. Call our 24-hour hotline at 1-888-341-7785 to learn more about which program is right for you. It is never too late to stop taking a drug that is interfering with your healthy lifestyle. -Rehabs.com Treatment begins with the intake process. The Librium treatment center will take a patient's financial information, take an assessment of the patient's health, and determine which program the patient should enter. After this, the patient enters detoxification. Detoxification helps a patient by slowly removing the Librium from the body. This can help prevent uncomfortable withdrawal symptoms. Medically monitored withdrawal or tapering methods are normally used to reduce and eventually eliminate the drug from the body. Next, patients enter rehab. The Librium rehab center provides a room, meals and medical care for those at the facility while they concentrate on getting well. Therapy, group talk, activities and more are available to help the patients. For information on the program you might be participating in, call us at 1-888-341-7785. Some patients like to travel, and this can help them clear their heads as they go through rehabilitation. It may help reduce stress and allow patients to focus on their health. Other patients may prefer to live close to their families or friends during treatment for moral support. Our hotline, at 1-888-341-7785, can help you decide which clinic you want to attend. If business-related concerns have stopped you, a family member or a friend from getting assistance for a drug use issue or behavior-related addiction, executive rehabilitation programs may be what's needed. Combining top drug, alcohol or behavior addiction treatments with the flexibility of computer and mobile access, an executive or company president can get assistance in comfort and seclusion. 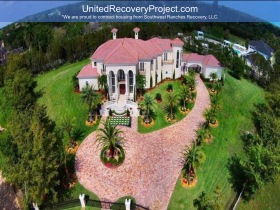 Often, current illicit substance and behavior addiction treatment facilities feature the nicest amenities you would only expect to find in 4 and 5-star hotels, with your success and enjoyment being the primary goals. From 5-star chef-prepared meals and fine linens to gym facilities and in-house massage therapy, you can get the greatest substance addiction and behavioral treatment for yourself, your family member or your friend while relaxing in comfort. For assistance in locating the perfect luxury treatment programs for Librium addiction, dial our no-cost helpline as soon as possible at 1-888-341-7785. A sober living environment or halfway house may be one way to maintain sobriety after rehabilitation. In a sober living environment, peers with similar issues live together in a home that is free of temptation, like drugs and alcohol. Contact our 24-hour hotline at 1-888-341-7785 for more information on these programs and others that may be available at your Librium rehabilitation center. It is never too late to stop taking a drug that is interfering with your healthy lifestyle. Call our helpful hotline at 1-888-341-7785 for information on a Librium rehab center that can help you get back to a drug-free life. What is the slang name, street name or nickname for Librium? Librium is also known as chlordiazepoxide. Am I addicted to Librium? This drug is prescribed to help those with alcohol addictions; however, it can be habit-forming. If you are taking more than prescribed or binging on this drug to achieve a high, you may be addicted. Call your local Librium rehab center to learn about your options. What are the long-term effects of Librium abuse? Librium should not be taken for longer than four months. It can cause agitation, sleeplessness and other problems when not taken as directed. Taking it for a long period of time can cause a tolerance, dependency or addiction in some people. It can also result in withdrawal symptoms and overdose. For more information, call 1-888-716-9806.